← A collection of essays that will make you laugh out loud! 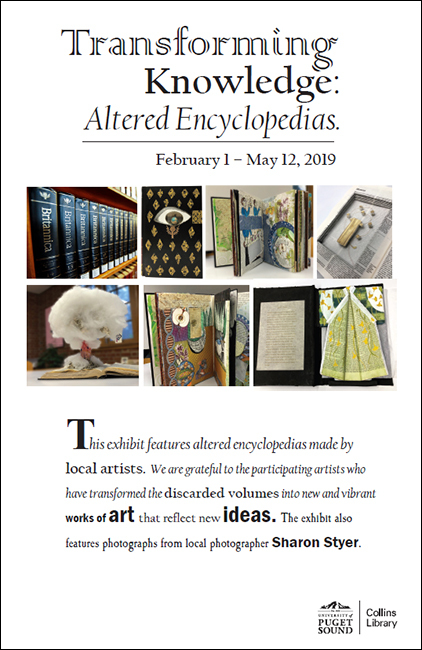 This exhibit features altered encyclopedias made by local artists. We are grateful to the participating artists who have transformed the discarded volumes into new and vibrant works of art that reflect new ideas. The exhibit also features photographs from local photographer Sharon Styer.